The GO7 is a small yet extremely powerful telematics measurement tool offering state-of-the-art GPS technology, g-force monitoring, GEOTAB IOX® expandability, and engine and battery health assessments. Using Geotab's patented tracking algorithm, it accurately recreated a vehicle's trips and analyzes its incidents. The Base Plan Includes: Base Tracking, Basic Driver Coaching for Speeding, Idling, and DriverID, Marketplace & Zenduit Integration Expandability and Web/Mobile Fleet Management Access for Unlimited Users. The HOS Plan Includes: All Base Plan Features + US/Canadian Compliance for DVIR & HOS, ECM Odometer & Engine Hours, Drive/Garmin Messaging/Navigation. The Pro Plan Includes: All Base/HOS Plan Features + Aggressive Driver Monitoring, Driver Audible Coaching, Full ECM Vehicle Diagnostics for Fuel/Faults/Odometer and Pro Level Tracking. The Pro Plus Plan Includes: All Base, HOS & Pro Plan Features + Live Active Tracking (No Delay), Full ECM Diagnostics for Maintenance Faults/Fuel/Odometer/Engine Measurements. Lifetime Warranty on GO Hardware. IOX Add-On Capabilities for additional IOX enabled devices including IOX-CAN (MobileEye), IOX Bluetooth, IOX-DJ/CP and much more. Geotab Drive is a smart Driver app for Android and iOS phones and tablets. Syncing data between the Geotab GO device and the tablet, it works in conjunction with MyGeotab software to provide Driver Vehicle Inspection Reporting and an FMCSA Compliant HOS Solution. Combines a powerful fleet ready tablet at an affordable price. This Samsung 8" Android tablet comes ready to go with security configurations, and Geotab Drive app installation. No additional security configuration or wiring is required. This plan includes 250 MB of North American Data, no need to ever worry about roaming charges. View your fleet from the comfort of your web browser or mobile phone. ZenduCAM provides you an unparalleled solution in managing fleet safety, customer service and compliance. The SmartWitness KP1S Dash Camera provides live real-time instant playback from your fleet dash cam to the ZenduCAM MyGeotab Web Add-IN (Web Add-In means there is no complex setup or installations required). Geotab rules trigger instant email notifications with a direct link to SmartWitness event recording footage. Additionally with unlimited cloud storage you will never miss a critical event. View what your fleet sees from the comfort of your web browser or mobile phone. ZenduCAM provides you an unparalleled solution in managing fleet safety, customer service and compliance. The SmartWitness Dash Camera provides live real-time instant playback from your fleet dash cam to the ZenduCAM MyGeotab Web Add-IN (Web Add-In means there is no complex setup or installations required). Geotab rules trigger instant email notifications with a direct link to SmartWitness event recording footage. Additionally, with unlimited cloud storage, you will never miss a critical event. 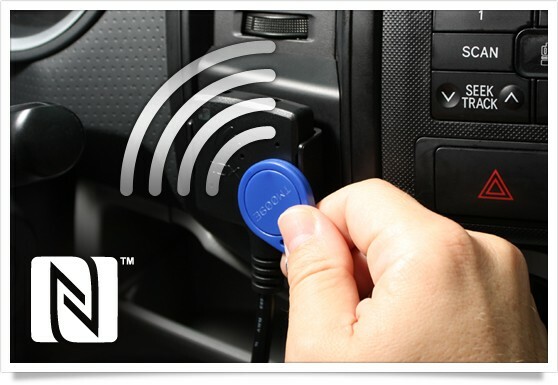 The IOX-NFC READER integrates Near Field Communication (NFC) with the GO Device to help identify which drivers are operating which vehicles in a fleet at any given time. Drivers tap a Driver ID key to against a vehicle’s driver identification reader to identify themselves. Each key has a serial number that is associated with a specific user account. Fleet managers can utilize MyGeotab to create rules, reports, and exceptions based on individual drivers or vehicles. Using text-to-speech, the IOX-GOTALK provides real-time feedback to drivers based on predefined rules. Any rules that the GO device uses to alert the driver with beeps can be used with the IOX-GOTALK. Custom text for based rules can be added to provide specific messaging to help the driver understand what they may have done right or wrong. Benefits to customized messages include the ability to create a message specific to the violation being encountered, as well as the ability to create the kinds of positive messages your drivers will respond to. Include tokens such as driver name, address of the violation, and zone name to provide the driver with a detailed account as to where and when the violation occurred. 8. With the addition of Active Tracking, drivers will get near-real-time feedback (generally within 5-10 seconds) when in good coverage from MyGeotab-based rules as well. Hourly rate for trained and certified professional installer. Travel for costs are included within 50km/30miles of a certified professional installer. Mileage costs and travel expenses can be estimated by contacting the professional installer. Please refer to installer list http://bit.ly/goinstallers to set appointment for installation. Did not find the product you needed?